Sorry... the 2017 BMW 740e is no longer being sold as new. Instead, take the first step to a great deal on 2018 BMW 740e with a free price quote! 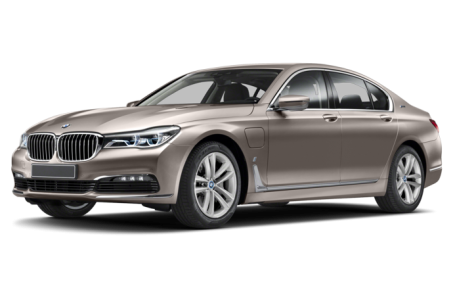 The 2017 BMW 740e is a new plug-in hybrid version of the 7 Series. It is powered by a combined 322-hp, turbocharged 2.0-liter 4-cylinder engine and an electric motor mated to an 8-speed sport automatic transmission and produces 369 pounds-feet of torque. All-wheel drive comes standard. It utilizes a 9.2 kWh lithium-ion battery that is mounted beneath the rear seat. The 740e has an EPA-estimated combined fuel economy rating of 64 MPGe and a 14-mile all-electric range.